To make a budget, you need to analyze your income and expenses. You can just write down your income, or use a spreadsheet. When you track your expenses, make sure to write down every single little thing that you spend money on, whether it's a stick of gum or a birthday present for your friend. It can be hard to remember all of your expenses, especially because some expenses happen regularly every month (like rent or your phone bill), while other expenses are one-time (like fixing your car, or paying student fees). You can use this expense tracker to write down all your expenses. Add up all your income and all your expenses. If your income is larger than your expenses, that's great! You are saving money already. Ideally, your income should be larger than your expenses. But if you are spending more than your income, it’s time to look at where you can spend less and make some goals. 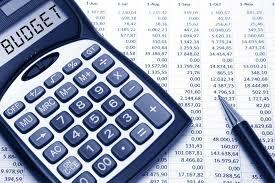 In order to make your goals, think about which of your expenses are fixed and which are variable? In other words, which categories could you spend less in if you tried? For example, you probably can't pay less for tuition or rent, but maybe you could spend less on groceries or entertainment. LearnVest links directly to your bank account to tell you how much you've spent in a particular category. It also tracks your spending goals. Mint is similar to LearnVest, but also sends you texts warning when you are close to overspending in any particular category. Once you make your budget, pay attention and adjust as needed. It won't be easy, and you will most likely be tempted to splurge "just this once," but if you can stick to it, your budget will guide you to better financial health.